Over the past week or two, I’ve been (impatiently) cracking open a bottle or two of the Kamikaze Pale Ale. I don’t think it has fully carbonated yet – after two weeks, it has a nice fizz, but not quite the level of bubbly that I would prefer. My red ale had similar behavior at first, so I think I’m just being impatient. At any rate, I agitated the bottles a bit tonight to see if that will help the carbonation along. Some brewing sites I’ve read recommended this procedure to “rouse” the yeast if it’s not carbonating at the preferred rate. Mostly, I think I just need to wait a little longer. On first pouring the beer, I get a mild hops scent. The beer is a nice red color (as mentioned in a previous post), and the carbonation (at this writing) is manifested as a light but steady stream of tiny bubbles along the side of the glass. The taste is smooth, with some definite hops flavor, but not overly bitter. The finish is pretty smooth, too. I don’t know if it quite has as much “body” as I’d like on my beers. There is relatively little head, too, but I think this might just be a factor of the present low carbonation. So what might I do differently next time? I might experiment with steeping another type of malt or two, to add a little extra body (but not too much). Perhaps I just need to crack the pale malt a little finer. I think I’ll also try dry-hopping, to give it a more prominent hops aroma (the aroma is just a little milder at present than I might like). Additionally, I’ll try boiling with a greater water volume – I only did two gallons (modified after one recipe I saw) for the boil this time, but I suspect I’d get slightly better hops utilization if I used 2.5 or 3 gallons. Next time, I’ll also try using dry malt instead. Despite all these ideas for “next time,” I still think it’s a pretty drinkable beer. 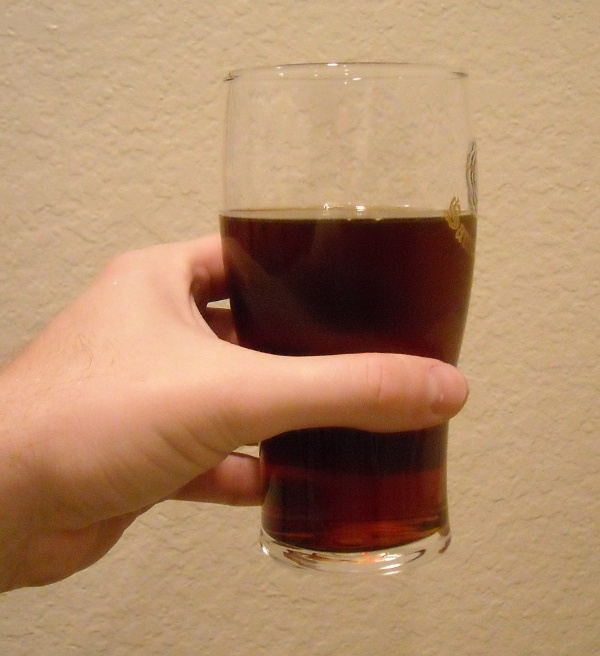 I like the smoothness, and it will be even better once that last bit of carbonation settles in. This entry was posted in tastings and tagged KPA. Bookmark the permalink.